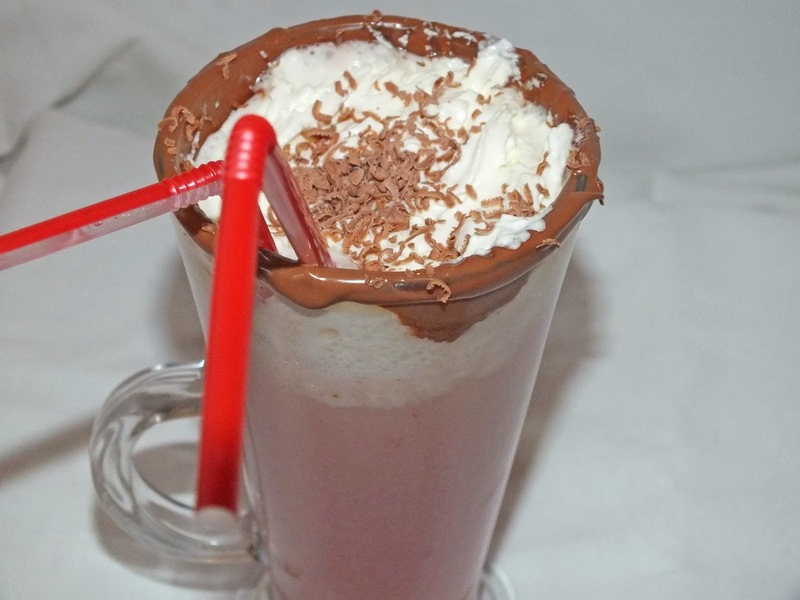 This drink is perfect as a little Valentines Day treat - the strawberry cocoa warms up the mood. And if like me your single You could make one for yourself too! 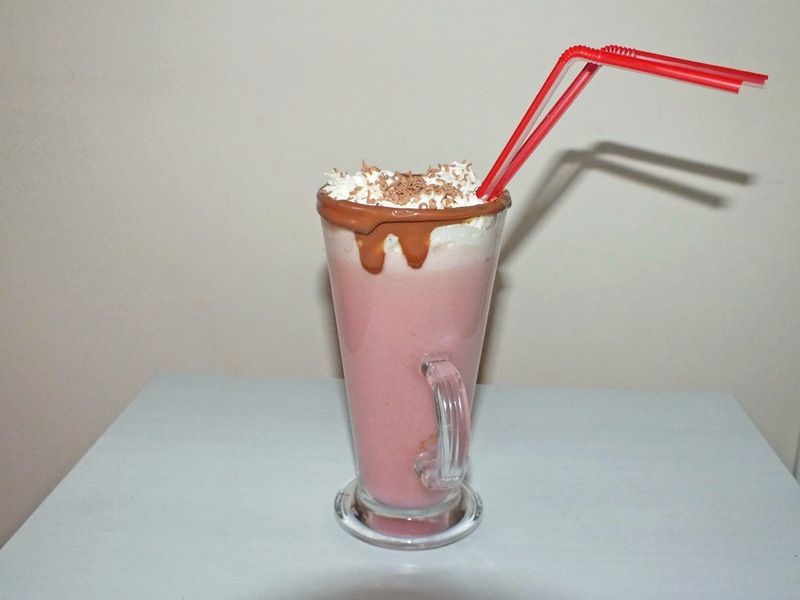 I thought it was extremely yummy - it was like milkshake and hot chocolate in one! To begin with, melt a small amount of chocolate in a bowl, this will be for the ring of the cup, so make sure you melt enough to dip the cup in and then leave it to harden in the fridge. Whilst, the ring of chocolate in hardening. In another bowl, mix together the 2 Tablespoons of Butter with Strawberry Ice Cream and sugar. You can add as much as you wish. Mix together over medium heat until melted. Then, add water and whisk until you get your preferred texture. Finally heat the drink until steaming and then pour in to the chocolate topped cups. Squirt whipped cream and sprinkle the chocolate. Be fast!! The drink it served warm and your whipped cream will melt! You could even add your favourite biscuits as a side and get dipping in the drink.